Although video surveillance has long become neither a luxury nor a rarity, tight budget can be a real stumbling point for many. After all, in some instances computer on site running 24/7, is not a good idea. Though in such cases Xeoma Cloud service is always at your disposal, what if budget is really tight? Like, very tight. Suppose you’d like to manufacture and sell a complete solution for video surveillance. The task is even harder now that the market is full of cheap DVRs of Asian produce. Although disadvantages of such devices are obvious for professionals, you yet have to make them clear to your target audience while maintaining a competitive price. That’s where money talks. These two problems have more in common than you’d think – a common solution. 2 words, 17 letters, 1 less problem: Raspberry computer. Raspberry computer, a fully functional system based on Raspberry Pi board or its modifications, is one of the most popular microcomputers. Microcomputers are smallest computer boards with USB, Ethernet and other ports you can connect monitor, keyboard, etc. to. Such microcomputers are no data centers yet they are quite enough to handle a video surveillance system of a couple of cameras and are power and money saving solutions. 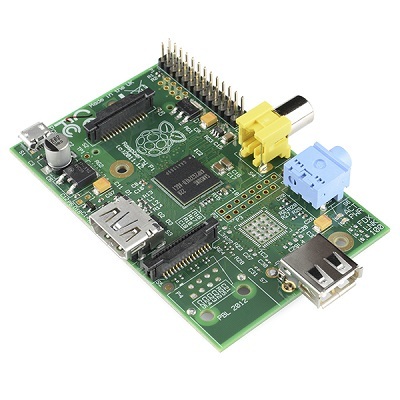 To create a Raspberry computer out of a plain Raspberry Pi board, install Raspbian OS or any other compatible with ARM Linux OS on it and connect devices you need. For a video surveillance system, install Raspbian OS, install Xeoma video surveillance software for ARM Linux, and connect your cameras to Xeoma. See also Detailed instruction of work with Xeoma on Raspberry computer and an article about our user’s DVR based on RPI3. Raspberry board cost is as low as $30-$40, plus a couple of $30 cameras – both webcams and IP cameras can be used – and there you have it, a small and power saving Raspberry computer, a cheap and compact video surveillance system for less than $100.